The old residence of the archbishops of Toledo in Alcalá is a majestic construction that began to be built around the 13th century. During the 14th century, with Archbishop Pedro Tenorio, XV, with Martínez Contreras, XVI, with Cisneros, Fonseca and Tavera, and XVII, with Sandoval and Rojas, it was reaching such an architectural beauty that it became one of the most valued buildings monuments of Spain. After the serious destruction and mutilation caused by the fire of 1939, several restorations were carried out, currently conserving part of its past splendor. The enormous shield of the main façade, belonging to the Cardinal Infante Luis Antonio de Borbón, calls attention. In this palace were born Catherine of Aragon, daughter of the Catholic Kings and Queen of England, and Ferdinand of Austria, Emperor of Germany. In addition, in the archiepiscopal residence of Alcalá, the first interview between the Catholic Monarchs and Christopher Columbus was held in 1486. 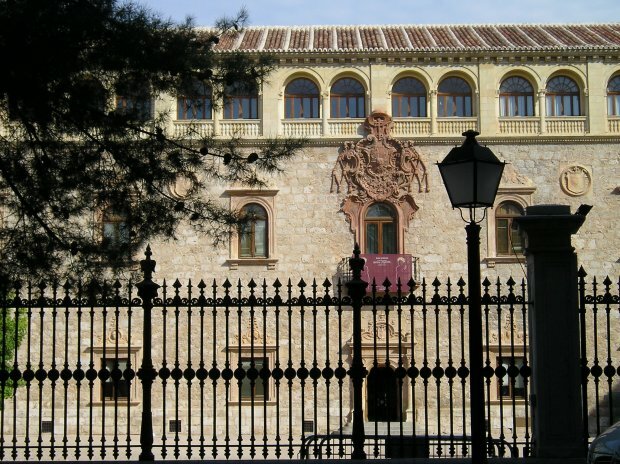 Today, as the Episcopal Palace, it is the seat of the bishopric of Alcalá.